My personal screed on Chinese film and associated topics. Reviews, commentary and the occasional essay on movies, persons and whatever I find to while away the time when I'm not glued to the screen. There will be ads, for which I am not paid, simply to promote vendors and sites which I find valuable. I am a movie fan, not a self-involved academic or Art-House politician - all posts originate from the center of my universe: me. Later, there will be some "guidelines" for comments. Note: This is not a democracy. Mr. Kurtz's Neighborhood will cling to life (for now) as a repository for political ravings and photography. Given the history of its stars and the venue, this is something of an odd film, albeit quite generally conventional in its development. 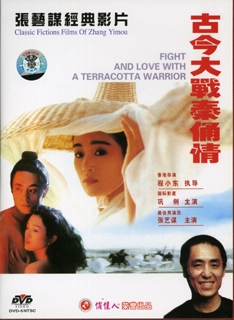 A thoroughly Hong Kong production, (in Cantonese) produced by the remarkable Tsui Hark of the "Swordsman" and "Chinese Ghost Story" and "Zu: Warriors of the Magic Mountain" films and directed by Ching Siu-Tung, director of "The Heroic Trio" and "Chinese Ghost Story" series as well as the god of action and martial arts choreography in such works as ""Hero" and "House of Flying Daggers", it nonetheless stars the two most prominent figures of mainland, Mandarin film. The action begins circa 215 BC as a soldier is overseeing the construction of the gigantic mausoleum for the first Qin Emperor, Qin Shi Huangdi , including the creation of the Terracotta Army. In scenes reminiscent of "The Ten Commandments" thousands of toiling and disposable workers labor under the lash to feed the Emperor's megalomania. The Emperor's quest for immortality doesn't stop at architectural gigantism however; at the same time, he is driving the court necromancers to develop an elixir that will allow him to live forever, and he is not a patient man. Driven by a close call in which his construction supervisor, General Mong Tian Fong, saves his life, and the nature of politics at the time, Qin Shi Huangdi feels a cold hand on his shoulder. "The Nineteen Thirties", as the shooting of China's first talkie is underway. Descending from a shiny airplane is the squeaky-voiced, giggly, wannabe starlet, Lily Chu, dressed like a Goodwill version of Gloria Swanson and evincing an airy cluelessness worthy of Carole Lombard. And here we come to the surprise, for Lily is played by none other than Herself, Li Gong, the powerful center of such films as "Raise the Red Lantern", Jou Do, The Story of Qiu Ju and "Farewell to My Concubine". Furthermore, she is alarmingly natural - and maybe having a little fun with it. She is also the exact image of Lady Winter from the ancient time. Pathetically convinced that she will walk straight into a starring role, Lily breezes into the middle of the filming, centering on the star, Bai Yun Fai, played by the handsome and ever-dependable HK baddie Yu Rongguong , who has more history on his mind than film, namely, looting the priceless tomb of the Qin Emperor if it can be found. In her glue-like pursuit of fame and rave reviews, Lily wanders into a site being investigated by Bai and his unholy henchmen, thereby earning herself a "ride" - one-way - in the scoundrel's plane. After his plot fails, Bai parachutes to safety leaving Lily to crash into a lovely soft sand bank and then be swallowed up and descending into...the The Emperor's Tomb where she meets; and you guessed it; General Mong Tiang Fong, just coming around after his 2000 year sojourn encased in terracotta. The double surprise is completed here as Mong is played by Zhang Yimou, the great "Fifth Generation" director of many of the above mentioned films and the companion of Li for many years. A rare acting role for him is well fleshed out; he conveys the stolidity of an ancient warrior and bureaucrat (plus nifty combat moves) and the bewilderment of confronting the twentieth century and the flighty Lily, whom he is convinced is his long-lost Winter. He also displays a neat sense of deadpan humor with temporal dissonances involving autos, guns, a train and a pair of sunglasses. Here the story returns to its adventure/romance mode with few surprises, generally following threads of heroic archeology and time-dislocation films such a the "Indiana Jones" series, "Time After Time" and the hilarious The Iceman Cometh starring Maggie Cheung Man-Yuk and Yuen Biao. I won't follow the story to the end to avoid possible spoilers for those who might see it. The film does end, or does it, in the "1990s" After all, the real point here is the answer to a long held question of mine; can she do comedy? 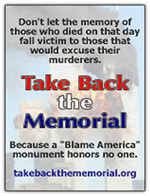 Damn right! A note here: I purchased this DVD from hkflix.com; it isn't available at NetFlix and I'm too far removed from any possible rental site like San Francisco's Chinatown. Also, the transfer quality is miserable and the English language subtitles, while surprisingly correct, are tiny and hard to read, so maybe this is only for fanatics like me. When local restauranteur Li Yilong, Tony Leung Chiu-Wai, returns to his home town after a two-year trip afield, (loafing) he's dismayed to find his lovely but hoydenish Little Sister still unmarried and apparently without much hope. Phoenix, Zhao Wei, has immersed herself in the business and abandoned all femininity. No wonder, as her brother is the infamous "Bully the Kid" and empties the street with a glance. He too, is pining for a lost love. Meanwhile, back at the Palace, the young Ming Emperor Zheng Die, Chang Chen and his sister, Princess Wushang Faye Wong are bored, Kept relentlessly under the thumb of the Queen Mother, their somewhat idle and cockamamie efforts to escape are routinely thwarted. (Some excellent play-by-play here.) What's to do? Few will miss the inevitable course of events unfolding here but the way is indeed not straight. The team of Director Jeffrey Lau and Producer Wong Kar-Wai have offered up a kinder, gentler fantasy than 1993's insane The Eagle Shooting Heroes (*****) and done it with wit and grace. This is a true Hong Kong film, complete with loony anachronisms, some truly pathetic martial arts, a bit of song and dance and the usual gender confusion. (Faye Wong is about as male as her predecessors Brigitte Lin Ching-hsia, Anita Mui Yim-fong and, for God's sake, Cecilia Cheung.) The film also benefits from the work of Rebecca Pan as the Queen Mother and the always bright spark and often underused Athena Chu, as Amour Amour; "In Chinese? Ro-Man-Tique", a gadfly seer, Cupid or just plain bum. Altogether, this is a film for movie lovers; a sweet and funny journey without obscure digression into film school obscurantism or the posturing attitudes of many Western actors prone to mail it in and collect their check. The word here is delightful. Director Seijun Suzuki's radical departure from his Yakuza themed films such as Pistol Opera and Tokyo Drifter is a flight into fairy-tale land. A thoroughly engaging mixture of live-action, Anime, CGI, cut-out animation ala Terry Gilliam and looniness this film more closely resembles Gaja Gamini or The Happiness of the Katakuris than anything else I can recall. There's even a hint of West Side Story - "Men must not be with Raccoons, Raccoons must not be with Men". And yes, it says "Operetta", so we have song and dance, rap, tap, show tunes and a samurai Calypso marching band. And Raccoons. Sometime, probably in the 17th century, (there are Spaniards) the vain and brutal king, Mkijiro Hira, is told by the palace seeress, the (Christian) Virgin Hag that he has been supplanted as "fairest of them all" by his son, Joe Odagiri, thereby vowing to exile the lad and devise his demise. 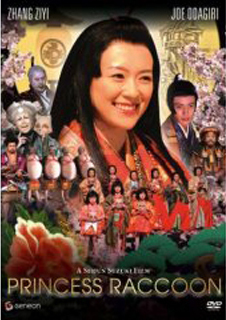 Naturally, the prince comes across a Raccoon Princess in human guise, Zhang Ziyi and the quest for love begins, encountering a number of the expected pitfalls, many odd characters, including the Ostrich Monk, a set of Gibson Girl - like handmaidens ("You girls are weird") and even the "Frog of Paradise". Stephen Chow, Christy Chung, Lam Suet, Tats Lau, Vincent Kok, Karen Mok. This film, by Hong Kong's favorite funnyman, Stephen Chow, doesn't even achieve the level of humor found in "Hannibal" or even "The Killing Fields". Not simply a waste of time, money and a terrific supporting cast, it is a veritable black hole, sucking up harmony and good will like a cosmic Hoover. This movie has gathered raves (and lots of money) from viewers, perhaps those with an autonomic response level to familiar stimuli, such as Chow's habit of featuring distorted-looking characters, disfiguring beautiful women and presuming that abuse is funny. It isn't. I bought, I watched, I snapped the disk in half and threw it out. ps. You (the hypothetical reader) may notice that some reviews lack certain referencing links and elaboration. This is not an accident.